China is an interesting and fascinating country with a rich history and cultures. Because of its rapid development in recent years, China has become one of the top travel destinations. Traveling to this country you will experience very different situations: from the skyscrapers in big cities to the stone houses in remote villages, from mountains to plateaus, from poor to rich, from modern to ancient etc. When you travel to this country, you would realize that things do not behave in the same way as in your home country or other countries. Quite often I hear funny comments from those who have either business trips or private trips. Once my colleague went to a fast food restaurant in Shanghai to buy two burgers. Instead of two, he got eight burgers. In the West, the hand sign for the number”2″ is to use the thumb and index finger. Two fingers make an “L”, other fingers closed with the palm facing the observer. But the same sign means 8 in Chinese! Not speaking single Chinese, my colleague presented his order in a western way. There are many similar cases which would lead you to an awkward situation. I have put all things together in this post and hope the list helps you to reduce the frustration during your trip. The list may not include all cases but it is a good start for your trip preparation. If you have any other point, please let me know so I can add to the list for the world to share. If your home country insurance does not cover the overseas part, I would recommend you to buy an extra insurance for your oversea travel. In China, in some big cities, there are several international hospitals. Most travel medical insurance plans can be accepted for direct billing by these medical centers, while others can be used to get reimbursement after treatment based on receipts and doctor reports. Make sure what is covered and what is not in order to reduce the risk of your well-being. The official name of the Chinese currency is Renminbi (人民币), or Yuan(元). The symbol of the Chinese currency is ¥, which is somehow the same as the Japanese currency symbol. There are many local shops don’t accept credit cards. You also need coins for bus tickets. Locals use a prepaid card to take public transportation. Most buses don’t have ticket sellers. These buses are equipped with a ticket machine. Some bus drivers do sell tickets but they don’t give your exchange if you pay more. You also need to pay for toilets in some places. If you plan to stay in China more than a week it is reasonable to buy a local SIM card for your mobile phone. The price is variable depending on your usage. In Shanghai Pudong International Airport the SIM card counter is right next to the exit. Always try to get one at the airport. Outside of the airport it is difficult to get one or not at all. Chinese have several major public holidays. During these holidays most people don’t work and travel around at the same time. Three major holidays are Chinese Spring Holiday, 1st May, 1st October. Chinese Spring Holiday usually lasts two to three weeks. The Spring Festival takes place on a different day each year. So you need to check the exact date when you plan for a trip. The other two holidays last one week long. They always take place during the first week of May and October. If you travel to China during these periods, there’s no guarantee that you’ll be able to see anything through the crowds. Many websites are blocked in China because of strict internet censorship. It is usual that you cannot access the sites you use in your home country. Facebook, Instagram or Google etc. are among those that are blocked in China. You should download a VPN software in your home country and set it up before you travel to China. You can read some article from Quora to get to know more details. I personally use the Ivacy VPN services with offer a lines of top features. Ivacy offers its services starting from $3.33/month, based on one-year subscription. 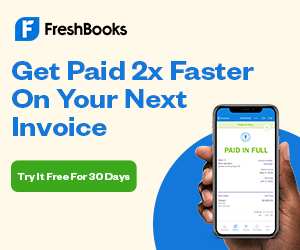 Plus, it also has 30 Days Money-Back Guarantee. It is also possible to just buy a one-month subscription at $9.95/month. Please check its website for the detail conditions. It is worth to spend a small amount of payment to get many benefits while safeguarding your privacy and safety. Use 120 to call an ambulance, use 112 to call the fire brigade and use 110 to call the police. When booking a hotel in China, it is usual that kids stay in parent bed. You need to read the details of how many beds are available or if an extra sofa bed is available. Sometimes the hotels can set up a bed for your kid on request, but this may occur extra costs to your bill. The same hotel room might offer different conditions, depend on where you book. It is suggested to book a hotel via international booking platform, such as Booking.com. Their description of hotels is quite clear. 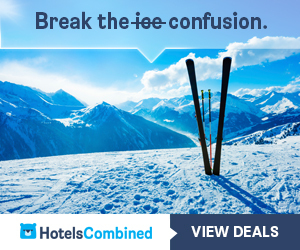 Or, you can book a room on www.HotelsCombined.com, it has prices from different hotel booking platforms. You can get a good overview of the hotel situation. If you use local websites to book a hotel, sometimes only one breakfast is included even you book a room for two. The second person has to pay for the breakfast on site. Ask the price up front to avoid a potentially high cost. In Shanghai, for example, the local’s breakfast has huge variety. You can join this early bird Shanghai city day tour including local breakfast tour. A local guide will bring you to eat breakfast, take-out or eat-in, as you prefer. Sometimes you pay a hotel when you checkout. When you check in, the hotel will block a certain amount on your credit card to make sure that they can charge you upon checkout. The amount is somewhat higher than the hotel costs. The extra amount is the deposit for any potential damage caused during your stay. In some big cities, it is very difficult to call a Taxi, such as in Shanghai. Locals use Apps to call Taxis. Many taxis on the roads are either ordered by someone or have guests in. When it is raining or during the rush hours, there is nearly no chance to flag one roadside. You should ask hotel staffs to try to get one for you, if possible. When visiting open markets and some privately owned shops, you should start to negotiate at a very low price. If the price is, for example, 100 yuan, then start to negotiate at 20 yuan. You might get the deal done at 30-40 yuan. Of course, you have to judge case by case, sometime you might only get a little discount for the good. If you are Invited by the Chinese to have a Chinese meal, you will have to share dishes with other guests. The Chinese host will order the food you will eat. You need to take food from the big plates to your own plate placed in front of you. But as you are invited, usually the host will order food for you and distribute the food to your plate for you. Don’t feel strange if you encounter the situation. This is the typical table manner in China. If you don’t like this way then simply mention it so that you can do it yourself. If the Chinese invite you to a Chinese meal, make sure you leave some food on the plate when you finish the meal. This way the host knows that you don’t want anything anymore. Otherwise, the host will keep offering food to you. Some domestic flight can have hours of delay. 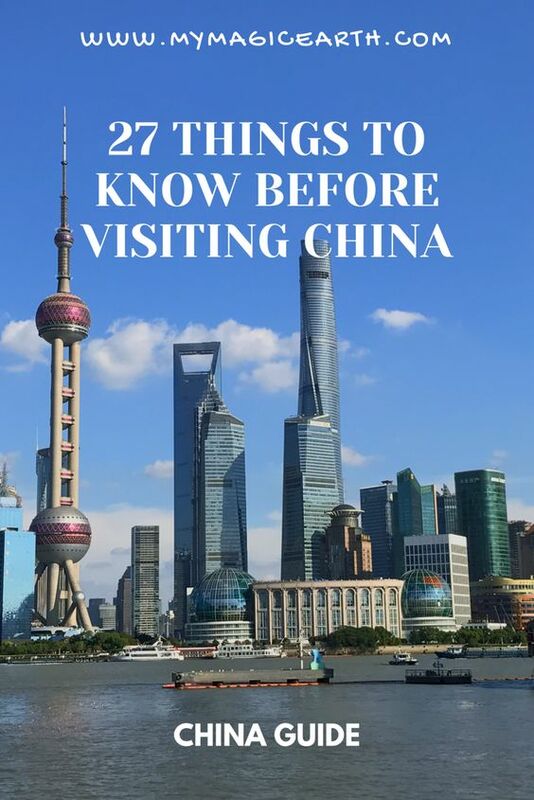 If you have a tight schedule in China and have followed up connections, you need to take the situation into consideration. Sometime it is wise to take high-speed trains because the trains are nearly always on time. You should arrive at the airport at least 3 hours before the departure of an international flight and at least two hours before the departure of a domestic flight. Sometimes in an international airport, you have to pass the first security check at the entrance. The second one before the border control is the usual airport security check. You should also arrive at large train stations two hours before the departure of a train. In large train stations, there are many passengers even on usual working days. You might need to queue in front of the security check, in restaurants or even in front of toilets. Allow yourself to have enough time to get around at these places. In some big cities and ultra-modern shopping centres, WCs are well equipped with many details: toilet paper, wash detergent, paper or machine to dry your hands, towels etc. to clean your faces. But others have not even toilet paper! Sometimes you can buy some in front of the door, other times not. So don’t let you get embarrassed in such situations. Water from the tap is processed and contains some chlorine. You should always carry a bottle of water with you. Bottled water is very cheap in local supermarkets, but could be very expensive in tourist areas. Even you are well prepared for the trip, it is always good to check some information at local tourist information centres to get updated travel information. There are always changes to the opening times and entrance ticket policies. You have to use your passport to buy a ticket for yourself. You are not allowed to buy tickets for the others. Your passport number and the ticket are linked in the Chinese train system. Most of them have no licenses to sell foods. Hygiene is an issue and the quality of food is also bad. Don’t risk your health. In general, there is no need to tip the service personals. But an up-level restaurant or a hotel charges an extra service fee which can be up to 20% of the total cost. However, in luxury hotels, you need to tip the person who takes your suitcases up to your room for you. The person usually also helps you to get your suitcases out of the taxi and into the hotel. Be aware of geographical differences in terms of income level and service standard. There exist huge differences between cities and areas. Service standard is quite different. One classic example is the local hotel industry. Unlike international hotel chains, many local hotels are owned by individuals. A 3-star hotel in one place is not necessary to have the same service and quality as a 3-star hotel in another place. Sometimes when you walk out of train stations, someone will approach you and offer you a taxi ride for a lower price. In most cases, these taxis are not officially registered. In the end, you would probably pay much more than expected. Always look for official travel service to avoid potential distress. Thieves are very active in the major train stations and tourist areas. Because of the huge difference between poor people and the rich ones, such crime scenes could happen from time to time. Great article – I’d really recommend that people take a filter water bottle with them – as you mention the tap water shouldn’t be drunk, not even for cleaning teeth, so using a filter water bottle means that you can fill up from the tap and drink the water safely – without getting sick or spending money on bottled water! Much better for the environment too! Hey, one thing to add regarding a VPN, I have heard about the great firewall of China before I went there last year, so I setup a NordVPN on my devices. It ended up being very useful to me actually. It’s important to set it up before you travel because once you’re there you might not even be able to access a VPN’s website. Thanks for the comments. I will update my post. Stay with us as I will write more posts about China. I lived in China for a year, not in one of the big known cities. It was interesting for sure. We used a VPN the whole time we were there, for everything. Even sites that weren’t blocked. I would add that when you are invited to dinner with a local and they are paying, they will order the food you eat. It was a problem for me more than one time. As for not buying food at the street stalls, also not at the carts. More than one time I saw very questionable things being sold. Also, we had several friends who did eat from them and got sick every time. Overall, China is interesting and the people are very nice, besides taxi drivers in Beijing. Thanks for the feedback. I will update to include your comments. Stay with us and I will be posting more articles about China.